Exclusive! 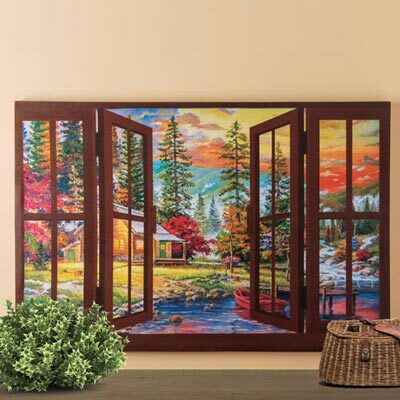 Gallery wrapped 3-D Autumn Window Canvas Print on a wooden frame, includes cord for easy hanging. Perfect for above a sofa or as a focal point. Imported. 36"l x 24"h.